Jammu �pronunciation� is the largest city in the Jammu Division and the winter capital of state of Jammu and Kashmir. It is situated on the banks of Tawi river. It is administered by a municipal corporation. 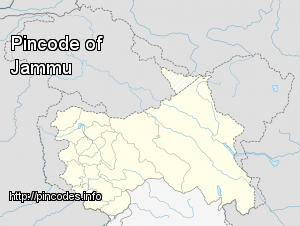 Jammu is located at 32.73°N 74.87°E﻿ / 32.73; 74.87. It has an average elevation of 327�m (1,073�ft). Jammu city lies at uneven ridges of low heights at the Shivalik hills. It is surrounded by Shivalik range to the north, east and southeast while the Trikuta Range surrounds it in the north-west. It is approximately 600 kilometres (370�mi) from the national capital, New Delhi. He said the Army Commander was accompanied by the Fire and Fury Corps Commander during the visit.